Many Asian countries are recording alarmingly high numbers of HIV infection among its MSM population. This is particularly evident in large urban areas like Bangkok, Jakarta, Manila, and Saigon. HIV prevalence has been reported between 15-31% in these cities. Where data is available, the rate of HIV testing among young MSM aged 18 to 29 is less than 50%. Meanwhile, the adoption of media and technology in Southeast Asia – especially in urban areas – has grown exponentially. Online sexual networking websites and mobile dating apps are used by young MSM to regularly seek out sexual partners. This gives campaigners new opportunities to reach and engage this demographic like never before. testXXX was created by APCOM to respond to this crisis and opportunity for HIV services for young MSM in the region. 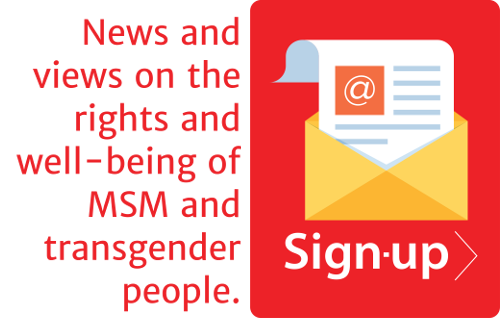 testXXX empowers the existing community-based clinics to reach and recruit wider young MSM audience. It does this by harnessing the power of cutting-edge communications and creativity that resonates with the knowledges, attitudes, and behaviours of young MSM. 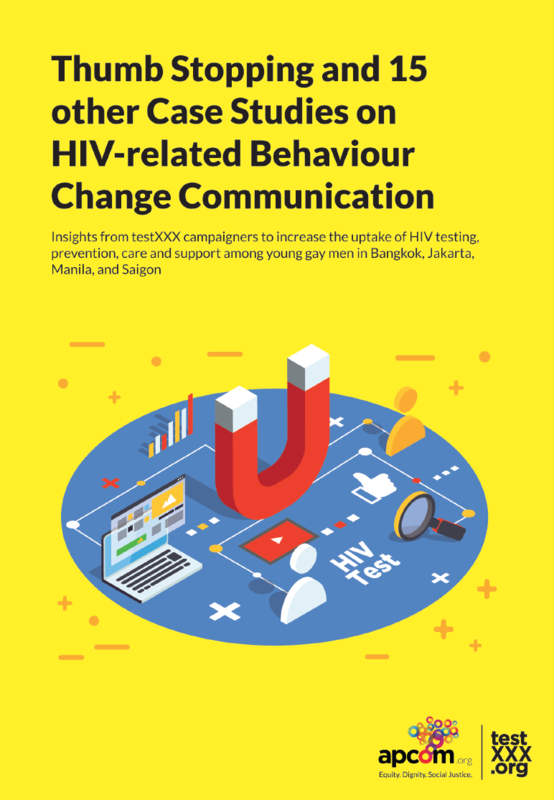 Thumb Stopping and 15 other Case Studies on HIV-related Behaviour Change Communication is the report based on the lessons shared during the testXXX Regional Dialogue, which took place in Bangkok during 23-25 May 2018 and were attended by eight testXXX campaigners from Bangkok, Jakarta, Manila and Saigon. The syllabus and agenda of the dialogue probed five key areas: engagement journey and integration; creative video content production; digital and social media engagement; activation events; and strategic partnerships. The group was consulted on the opportunities of working as a regional team by email after the dialogue. A number of other qualitative and quantitative sources were also collected to strengthen the insights reported in publication. This includes desk reviews of quarterly progress report and impact studies on each testXXX campaign, and consultation or interviews with selected key stakeholders such as the branding agency, digital content producer and social influencers. Data was also examined from the Google Analytics and Facebook Insights of each campaign’s website and Facebook Page, respectively. The report collected 18 insights from the case studies, covering Engagement Journey, Digital and Social Media, Campaign, Activation Event and Partnership. All are detailed in the document, and is available in 4 languages: English, Thai, Bahasa and Vietnamese.